Granville, WV-The West Virginia Black Bears are looking for the next Cooper the Bear! Bold, brave and as funny as can be, Cooper's shoes are bigger than ever to fill! Step 1: Resumes will be collected through February 1st. Step 2: Selected applicants will interview in person at Monongalia County Ballpark. Interviews will include a Cooper skit (provided ahead of time) and Q & A with the front office staff. 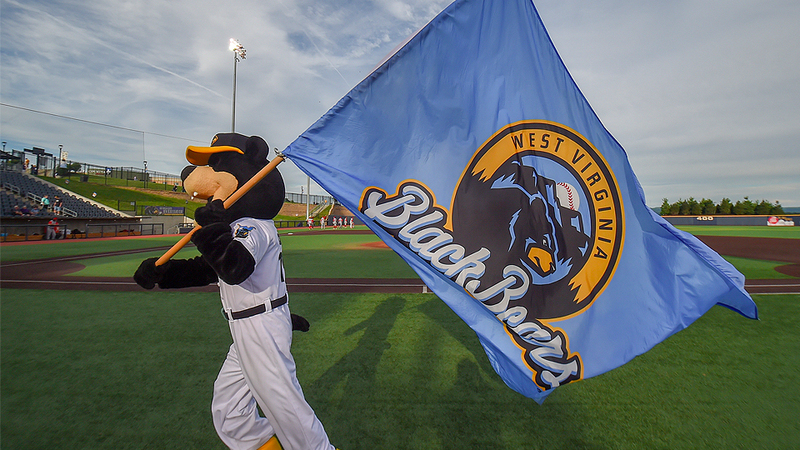 Step 3: 4 Candidates will be chosen to attend appearances with the WV Black Bears Staff as Cooper after which the final selection will be determined. With the number of appearances made by Cooper on the rise, it was clear to the WV Black Bears that it was time to perform another Cooper search. According to General Manager, Matthew Drayer "The Black Bears are looking for someone who is willing to embrace the image of Cooper. He has become such a popular person in the community, this associate will need to be able to embrace every opportunity Cooper has to connect with a fan." Charm and enthusiasm are just a few of the qualities the new Cooper will need to possess. The Black Bears are also looking for someone who is flexible with their hours and great with children. For a full job description for Cooper the Bear visit http://bit.ly/CooperSearch. Interested applicants may apply by sending their resumes to wvbbcommunity@gmail.com. Resumes will be accepted until the 1st of February. For more information on the West Virginia Black Bears visit WestVirginiaBlackBears.com.